Over all staff were professional and polite while gtting the work done quickly and safely. Robert was outstanding throughout. Needed to M.oT, my car quickly before the existing M.o.T ran out, Bank holiday most places closed. Normallt use my VW main dealer. One call to the Paisley branch, bring it in, tested and passed without any issues. Good friendly staff, my first dealings with your company excellent experience and first class service. Thanks again. Quick, friendly and hassle free service from the staff at this particular branch on more than one occasion. The guys appear trustworthy and are not trying to rip you off with unnecessary work/products. Pleased with extra checks and advice received about possible issues. Friendly and efficient service with excellent price. The service was very good and the fitter explained the issue. The service was great and the staff member wullie who we dealt with was very helpful and friendly, the first time we have went somewhere that we felt we weren't being ripped of. I would highly recommend them. Chris at the paisley branch was extremely helpful, polite and even matched a quote I received from your competitor across the road! Absolutely fabulous customer service from the one young man on duty ( Sunday) - Christopher Stewart. He is a credit to your company and deserves to be recognised - surely destined for a senior post before too long. From initial phone enquiry to the actual fitting everything was dealt with very professionally and quickly. I have been happy with the service I have received and advice given to-date. I have always get very good service. Excellent service.I had 4 new tyres fitted without an appointment in only 25 mins. Quick service,reasonable prices and with good advice. called before hand and was told to come down to the unit, was taken straight away and tyre was fitted in the quickest time I have ever had a tyre replaced. The service i received was excellent and actually showed me what was wrong with the car, even though i am not mechanically minded. I have always found the staff to be very helpful and you can arrange for work to be carried out at short notice. The price is very good value with good workmanship. Speedy service, very helpful on the phone. Cheapest quote. 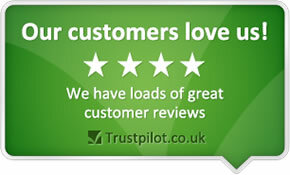 The staff were very helpful & friendly, I ordered a tyre on line and got it fitted the same day. The staff were very helpful and very quick at getting in the part required for my car to pass it mot. Used discount voucher from website to get good price for new brake pads and got excellent service from staff. I always feel confident that the work done is of a high quality and no unnecessary work is being carried out. It was a quick efficient service, they did mention I had other tyres nearing the legal limit but didn't go for the hard sale which wouldn't have worked anyway. Fast and friedly service. Competitive prices. Fast. Although I Went there specifically for the "buy 1, get 1 free" deal on tyres. And lone behold, my tyre type wasn't available. So had to pay full price. Always find the staff very friendly and helpful. I trust their advice and they have never let me down. They recognise me as a long-standing customer. They do not patronise me as a female driver. They do what I ask and do it when they say they will. Friendly efficient service .Staff professional/ helpful/ reassuring . Prices competitive. Service was excellent - e.g. only big name tyre centre I was able to find open on New Year's eve. Tyres I needed were in stock, and promptly fitted. Staff very helpful and courteous. 1 point lost, as no storage service for winter/summer tyres available - Kwik Fit & Budget offer this, and it's very useful. Very friendly. Work carried out quickly. Very impressed by all staff enthusiasm . Quality service with friendly knowledgeable staff. Easy to deal with, good advice given with no 'hard sell'. i called up my local branch in paisley, scotland a few days before sat, spoke to martin who helped give me prices and ideas for my car. i travel alot for work and need my small car to run well. martin advised on oil change for my mileage and check brakes and tyres before the bad weather. he gave me an estimated price and when i went today i was please with how quick the service was. i needed a new tyre and they checked the others to confirm they need replaced soon. noone pushed me into buying services/tyres i didnt need just yet, they gave the options which means i can budget around that. definatley come back. Very quick and friendly service from staff. Price and quickness of service. Happy with the price of the puncture repair compared to other local providers. Efficient service. Could have contacted earlier to tell me car was ready. Fast service friendly service. Good at price matching. Team of men working on car so I was away as soon as possible and did not have to hang about waiting.